Used Audi A4 Review - 2005-2009 Reliability, Common Problems | What Car? What should I look for in a used Audi A4 saloon? Generally this generation of Audi A4 is reliable, but there are some issues. The 2.0-litre diesel models can burn oil over time and some owners don't check the level, relying instead on the oil warning light. This is dangerous, and could cause permanent engine damage. Consult the service book to find out when the oil was last changed, and then check the dipstick to see if it's low. The central locking can fail, and dealers aren't always able to fix it quickly. Check that all the doors unlock, and that the remote is working correctly. Although generally well built, some A4s have gloveboxes and dashboards that rattle or squeak. A test drive should expose any faults. Problems changing gear, as well as very stiff clutches, are early signs of a known gearbox problem. During a test drive, ensure you can select every gear easily. Audi has been known to contribute to the cost of repairing some cars out of warranty, so you shouldn't expect to pay for fixing cars that are less than three years old. What are the most common problems with a used Audi A4 saloon? 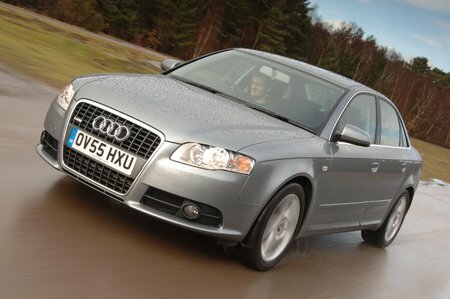 Is a used Audi A4 saloon reliable?